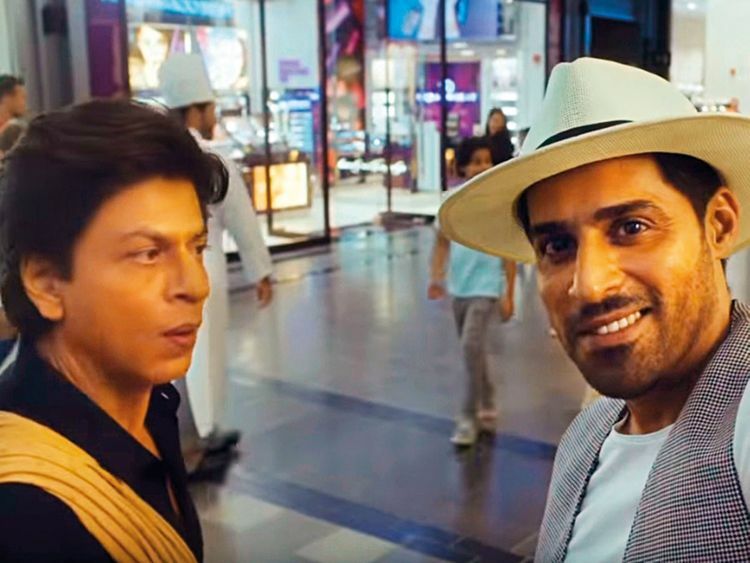 Bollywood superstar Shah Rukh Khan explored Dubai’s shopping and entertainment hub City Walk in the quest to solve a riddle during his latest promotional campaign. In the fifth film of the campaign, Khan is seen trying to unravel clues that will lead him to a big revelation, which will be made in the sixth film of the series. Khan describes City Walk as a place “where you get everything you need”. There, he searches for a man with a white hat, who gives him another clue only after inviting the actor to his cafe. At the cafe, the chef tells Khan the “last bite brings it all together”. That’s what leads the actor to another clue, which is the latitude and longitude of a place. “I think we just found our next clue,” says the actor, with a “to be continued” message at the end of the film.